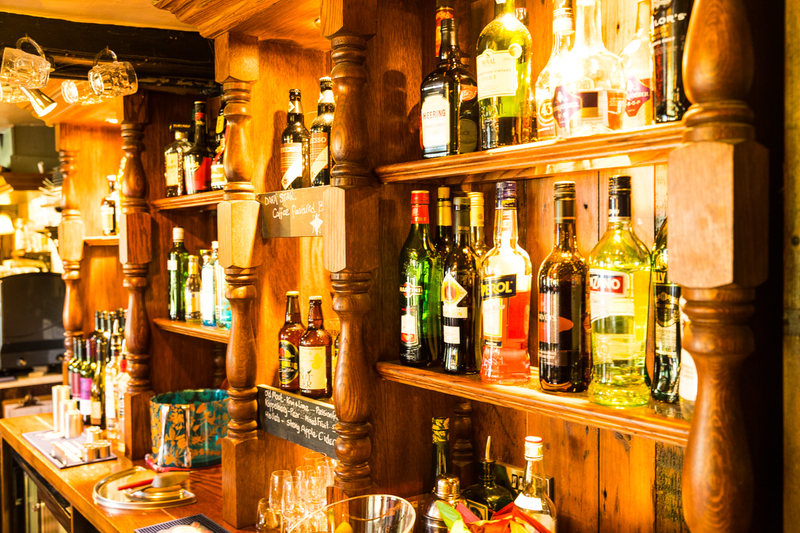 We serve a variety of selected wines from around the world and locally sourced ales. You are certain to find something for you. We have 4 Cask beers, currently Doom Bar, HopHead, Wainwrights and the local Hog’s Back Bitter. A couple of these will change with the seasons… a light hoppy beer in the summer and rich ruby ales in the winter. Fosters, Kronenbourg and Birra Morretti are the present lagers with a draught Stowford Press cider and Guinness. A good selection of bottled drinks from Brewdog Punk IPA to Cornish Orchard Ginger Beer. A wide range of Whiskies and the very fashionable Gins including the local Silent Pool that teams up nicely with one of the Fever Tree Tonics. Not forgetting the younger customers or the designated drivers we have a great choice including Frobishers and Folkingtons. Mulled wine to warm you up in the winter and draught Pimms to refresh in the warm summer months.